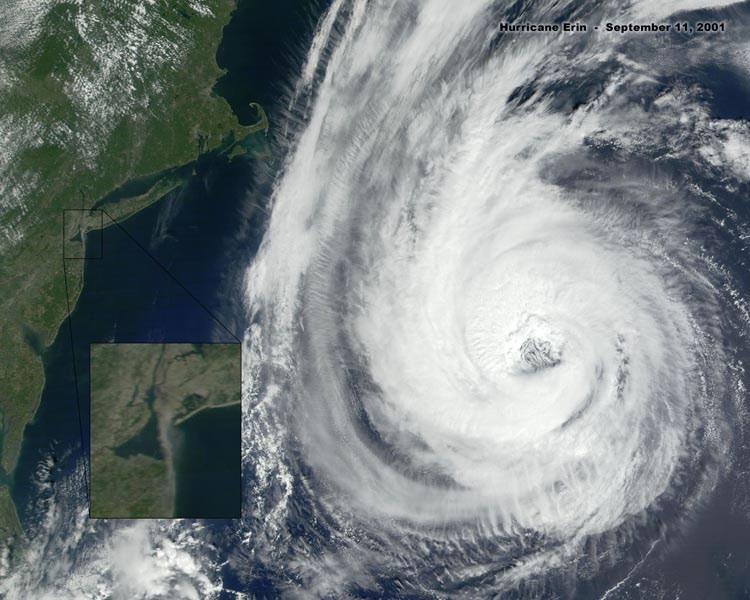 Below is a satellite photo of the seas and coastline of New York and Canada on 9/11/2001. The inset shows Manhattan. See the smoke dust trail from the World Trade Center. 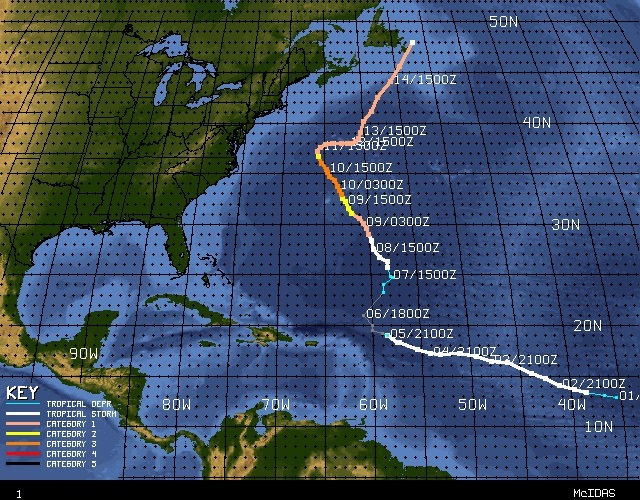 Below is the pathway of a hurricane Erin, shown above, in the days up to and after 9/11/2001. It remained stationary during the events of that day. 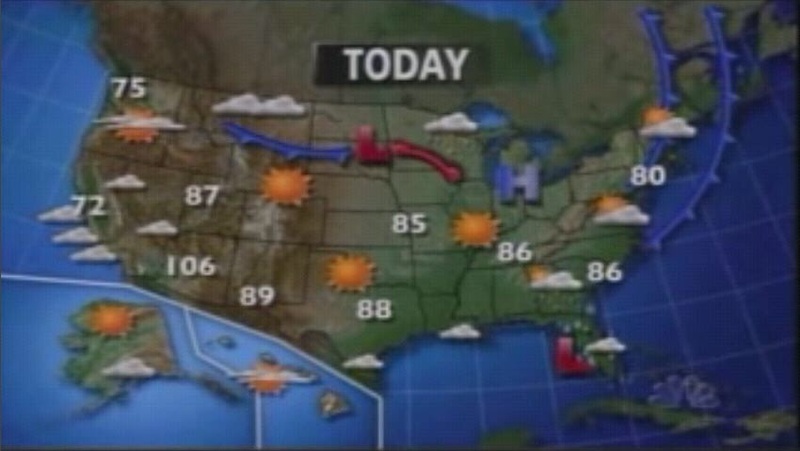 Below is an NBC weather forecast on 9/11/2001, as shown on TV screens even as the hurricane was present. 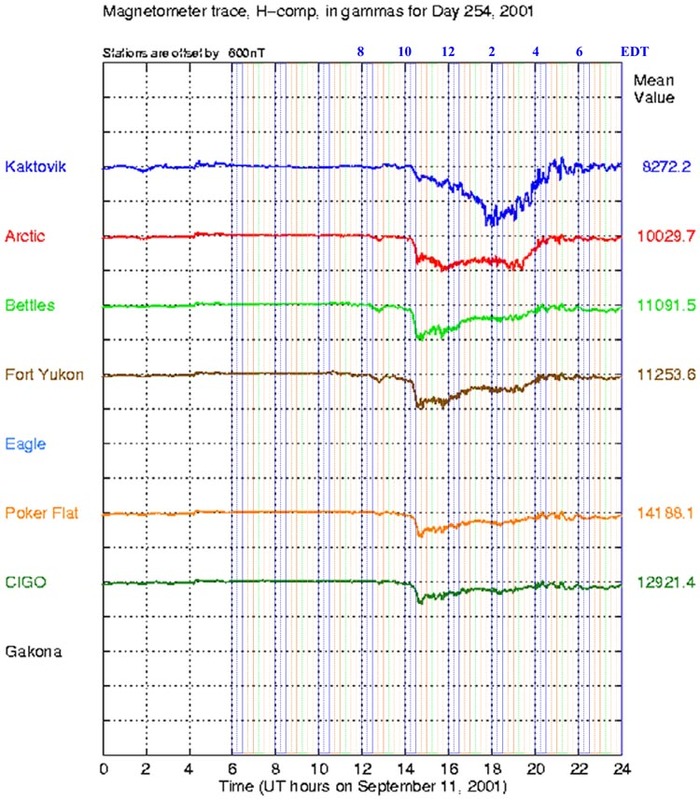 Finally, below are graphs from various reading stations in Alaska of fluctuations in the earth’s magnetic fields on 9/11/2001. Note the small blip at about 12:45 UT (8:45 EDT), and then a large and ongoing disruption at 14:00 UT (10:00 AM EDT) on that day. These blips coincide with the “planes” hitting the first tower, and then WTC2 turning to dust, and continue until WTC7 disappears that afternoon. Apparently, in addition to “planes” hitting the buildings, we also witnessed a magnetic event. A fella can’t make this stuff up.